For now,too many waste garbage have not been recycled.This is a main factor to the environmental pollution.As we all know,the resources on earth will run out one day which adds the importance to recycle work.From all sorts of recycling,PET Bottle recycling takes a quite share. Lianguan Waste PET Bottle recycling Line can do an excellent job of recycling PET bottles. 2. The main parts of the PET washing recycling plant is label separating, crushing, cold and hot washing, caps separating, dehydrator and drying parts. 3. 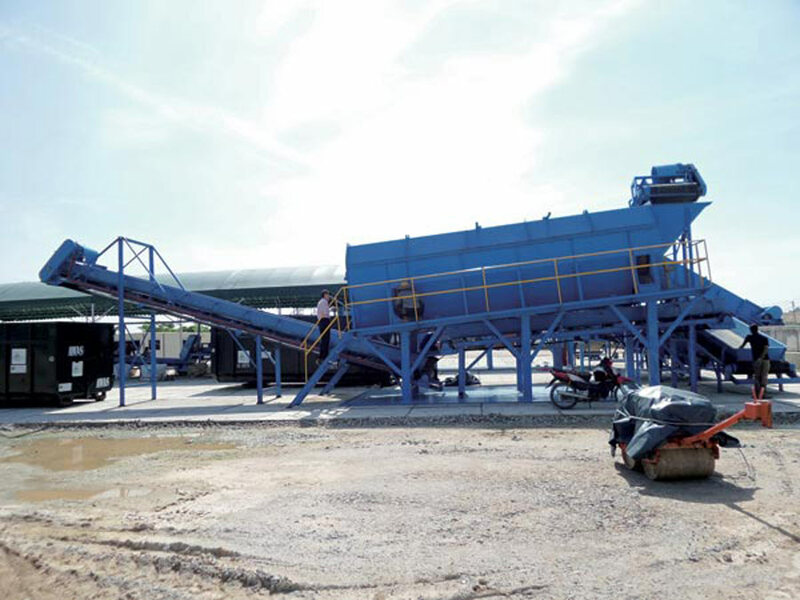 The capacity of the PET washing recycling plant is from 300kg/h to 3000kg/h. 4. There crusher is to crush the rigid material into small pieces with size from 1mm to 15mm depending on customers’ need. 5. Mechanical label separator and zigzag label separator can ensure to remove the labels thoroughly. 6. Sinking swimming tank can not only remove dirties of the flakes, but also can remove the caps out. 7. High speed friction washer and hot sinking swimming tank can remove the strong dirties, like the grease, oil, glue. 8. By dehydrator and drying system, the final products plastic flakes moisture level can be lower than 1%. 9. The final products PET flakes, the PVC level is lower than 150PPM, the impurities level is lower than 100PPM. 10. The PET flakes can be taken directly to make the fibers, straps, and also can be granulated to be granules.